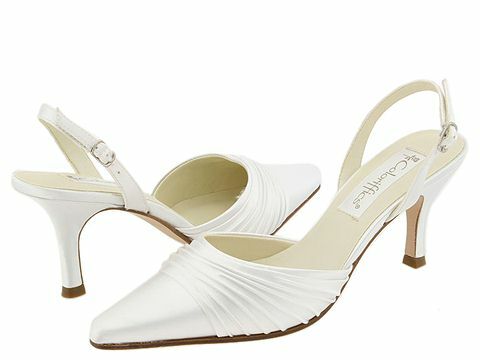 Elegant and sophisticated sling-back with pleated vamp detail. Dyeable satin upper. Adjustable buckle closure. Lightly padded footbed. Synthetic sole. Free shipping in the USA.